Request a one-on-one demo of our Enterprise plan with one of our knowledgeable team members. Want to see our Solo, Team, and Business plans in action? Join one of our weekly demo webinars here. Complete this form to request a Enterprise plan demo. 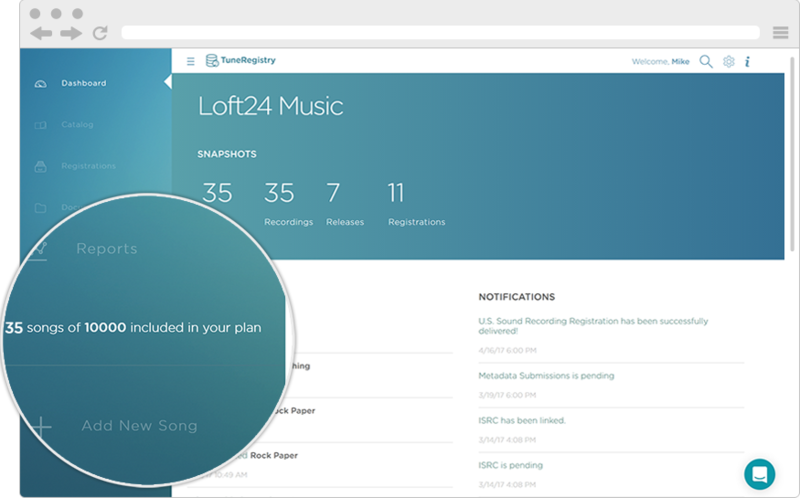 TuneRegistry is a cloud-based music rights administration platform that frees up your team's time, reduces errors and omissions, and increases efficiency by consolidating and streamlining the music registrations process, all in one place. See what it can do with a one-on-one demo of our Enterprise plan. Want to launch a music publishing administration business or add music publishing administration to your existing business? Let TuneRegistry help.